Marine Rescue Sydney is a 24 hour, 7 days a week radio base at Terrey Hills. 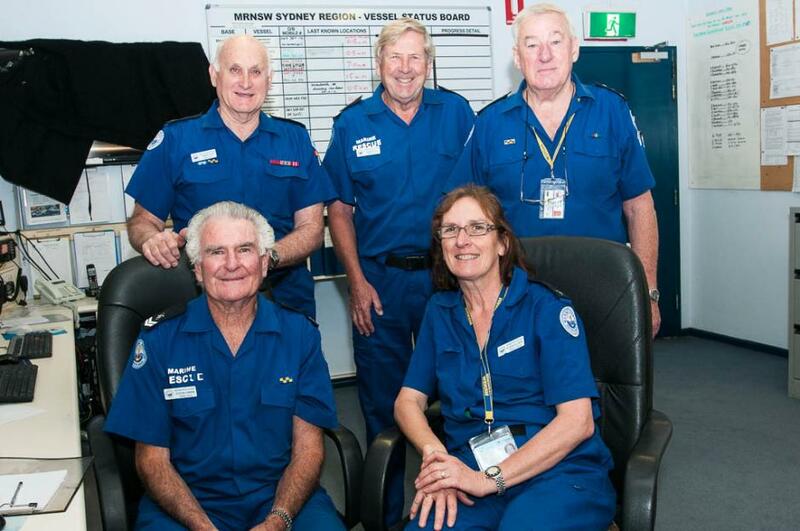 It is run completely by volunteers ( approximately 70) and provides radio support to boats throughout Sydney. Our radio base volunteers monitor the airwaves for boaters in need of rescue or less urgent assistance. Our radio safety net includes a Log On and Log Off service for boaters, who are encouraged to let their local Marine Rescue unit know when they are heading out on the water, where they are headed and when they plan to return. If they do not Log Off when expected, action can be promptly taken to locate them. When a boat is undertaking a journey, they can log on with Marine Rescue for the duration of their voyage be it going fishing for the day or sailing up to Lake Macquarie, or elsewhere. Our radio operators take all the necessary particulars including the number of people on board, the type of vessel, where they are going and an estimated time of arrival at their destination and contact details. In the case of an emergency we liaise with the Water Police. The Terrey Hills base is part of Marine Rescue NSW which has bases all along the coast. There are over 3,000 members manning 46 units. In the Pittwater area there are also bases at Broken Bay, Cottage Point and Hawkesbury which provide on-water support. VHF Marine Radio Repeaters have been installed in some areas. These help channel communications over a larger area and can have a range of up to 50 nautical miles to sea. Training courses for the MROVCP or MROCP licence explain the operation of VHF repeaters, how and when they should be used and when NOT to use them. Marine repeaters are installed purely to enhance safety at sea. Radio traffic through the repeaters must only be of a “safety communications” nature, such as radio checking, position reporting, offshore transit progress, weather observations and forecasts, Log On and Log Off messages and emergency traffic. Repeaters should only be used once contact with a shore-based station is made and vessels are instructed to change to a repeater channel. Repeaters MUST NOT be used as “chatter channels”, as this can interrupt urgent safety message handling and is illegal under the ACMA legislation. It is good boating practice to teach these basic principles of marine radio to others who go boating with you. Better still, encourage them to enrol with you in a Marine Radio Operators Certificate of Proficiency course. Always keep your marine radio on the ‘Distress, Safety and Calling’channel. On VHF sets this is Ch 16 and on 27MHz radios, it is Ch 88. Because of prevailing conditions you may be the only ship station that picks up an emergency call from another boat. Many radios allow you to set up a dual watch or scan mode to also monitor other channels, such as a local repeater, or a ship-to-ship channel. See radio courses for more information on the effective use of these modes. The Terrey Hills unit is always looking for new recruits. Volunteers don't need any boating or radio experience as they undergo extensive training. There are people from all walks of life who give up their time to operate the radios. What would you recommend anyone taking their boat out for an extended period do prior to departure? We have a comprehensive flyer of things to check. For the inexperienced good reference would be to compare to a long overland car journey. Boating Safety is of course the priority. All the information needed for safe boating is in the Roads and Maritime Services Boating Handbook. This is available from their website at www.maritime.nsw.gov.au. The handbook provides information on equipment that must be carried on board, the NSW lifejacket laws and the requirements for NSW boat licences. What sort of training would any volunteer wishing to join your unit need to undertake? Training involves comprehensive understanding of marine communication and protocols. Initial training is 6 months then trainee position in radio room. We never stop learning! What fundraising activiites do you have coming up that people may participate in? We run BBQs at Bunnings - Belrose. We also run an annual raffle - top prize is a Quintrex boat package. We also have MRSS - Marine Rescue Safety Service whereby we keep info on boat owner and vessel for $65 p/a. he State Government provides a small allowance. Warringah Council provides our building facility and its upkeep. What is the best part about being involved with Marine rescue? Meeting people from wide variety of backgrounds, learning, camaraderie, service to community, satisfaction. "Going home with a grin on my face although I don't get paid!" Marine Rescue Sydney – Terrey Hills Unit members: Front (left to right): Steve O'Brien and Alison Glover. Standing left to right: Robert Elvin, Colin Ravenhall and Andrew Topp. Picture by Michael Mannington. Copyright Marine Rescue Sydney, 2013.